How can I improve the value of my pharmacy? It sounds obvious, but to achieve the best price for your business you must make sure it is prepared for sale. If you are planning to sell now the best thing you can do is ensure that your financial accounts are up-to-date. If buyers have to wait for such information any offers you receive will be low, based on the lack of knowledge. One of the first things a buyer will look at is gross profit. Have you any idea of whether this is high or low for your business compared with other pharmacies? If the pharmacy is underperforming by industry standards this will inevitably affect the price you get when you sell. How much is my pharmacy worth? If you are selling a pharmacy, the value of your business will be based on its profitability. The banks will value your business, and the buyer will make an offer, based on the latest set of accounts and up-to-date trading figures, so ensure you have these available. A key figure from the accounts is Earnings Before Interest, Tax, Depreciation and Amortization (EBITDA). When calculating a value for the business lenders will typically take a multiple of the EBITDA ranging from around 5 to 7 times. Profitability apart, there are other factors that impact on the value of a business. Location is obviously important. 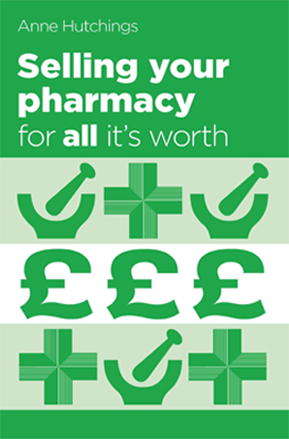 A pharmacy in a health centre or next door to a GP surgery would generally expect to command a higher price, for example. 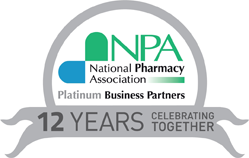 Join us at the pharmacy show to get a one to one confidential discussion with Anne, about the value of your pharmacy. Are you interested to know what’s happening in the market? Are you thinking of selling but not sure when is the right time? Would you like to know what your pharmacy is worth? Then visit us at the Pharmacy Show at the Birmingham NEC on Stand PG30. When is the right time to sell your pharmacy? Is it time to sell your pharmacy – and is selling the right thing to do? Ultimately only you can answer these questions. If you do decide to sell, the time to do so is when your pharmacy is likely to attract a number of good offers. In recent years, with 100-hour contracts and the drift of doctors into health centres, there has been some uncertainty in the market place. Now the threat of 100-hour contracts has been removed there has been renewed confidence and buyers in abundance. Join us this weekend, get a one to one confidential discussion with Anne, about the value of your pharmacy. What’s driving goodwill values up? Then visit us at the Pharmacy Show at the Birmingham NEC on Stand PG45.